The Graduate Center for Worker Education was a beacon of hope and ascendency for working class students seeking intellectual challenges, social advocacy and professional advancement. So I was shocked and dismayed to learn about the closing of the GCWE by Brooklyn College President Karen Gould, following a stream of attacks against the Center’s working students, faculty, and staff. Brooklyn College’s Graduate Center for Worker Education has a rich institutional legacy of seminal scholarship, outstanding teaching and a long list of students who have become leaders in unions, politics, law and social policy advocacy. Founded with municipal union support, and with a pro-labor CUNY Chancellor Joe Murphy, the Center maintained relations with, and provided higher educational access for hundreds of members of local 1199 SEIU, Teamsters, Communication Workers of America, United Automobile Workers, American Federation of Teachers, among others. So I was shocked and dismayed to learn about the closing of the GCWE by Brooklyn College President Karen Gould, following a stream of attacks against the Center’s working students, faculty, and staff. I was visiting Belle Zeller Professor of Political Science at Brooklyn College a decade ago and devoted most of my teaching to the Graduate Center for Worker Education. Therefore, I’m intimately familiar with the program, the talented faculty, dedicated staff and remarkable graduate students, drawn from New York’s municipal labor unions and immigrant communities. The GCWE was a beacon of hope and ascendency for working class students seeking intellectual challenges, social advocacy and professional advancement. The GCWE lays claim to many distinguished faculty. Among them are public intellectuals who play a significant role in public policy and includes judges, city planners and public health experts. The GCWE’s faculty has always compared favorably to those from the top universities in the world, on the basis of teaching, publications, and public service. Their support and dedication to students is second to none. As recently as 2009 I participated in the GCWE’s national conference, Black Women and the Radical Agenda, featuring Angela Davis, Manning Marable, Leith Mullings, Esther Jackson, Carole Boyce Davies, and Eric McDuffie, highlighting the monumental work of freedom fighter Charlene Mitchell . Hundreds of scholars from around the world and across the nation participated in this historic conference. The journal New Solutions recently held its national conference at GCWE, as did the Labor And Working Class History Association. In 2011 the Worker’s Center hosted my double book launch at a well attended public event. Numerous rank-and-file labor conferences have be held at GCWE. GCWE was a focus of institutional and social transformation. As a hotbed for developing social activists, raising the minimum wage, fighting for and enabling organizing restaurant workers, publishing ground breaking academic studies like Immanuel Ness’s International Encyclopedia of Revolution and Protest, and his peer-reviewed journal Working USA: The Journal of Labor and Society, the GCWE manifested a rare combination that conferred students with historical analysis, critical social and political theory, and applied policy practice, empowering generations of leaders engaged in social transformation. Unmistakably, Worker education flourished under the Center’s former director, Professor Joseph Wilson. From Oxford to Moscow, from Los Angeles to New York, worker education programs are under attack by the right wing and zealots who believe working people should not have access to higher education. The attacks takes various form, from defunding budgets and shrinking programs to outright closure, as is the case with CUNY’s GCWE. Based on dismissive public pronouncements lacking a substantive rational, B.C.’s President Gould took a sudden wrecking ball to the GCWE. A powerful institutional voice against racism has been silenced . Let us hope and fight to make sure this dastardly act is reversed. Dismantling the GCWE and public statements by the interim director and administration cast a shadow of disdain over the many distinguished faculty and outstanding students in the GCWE’s extended community. I have come to find out from former employees that these allegations and unethical attacks are over two years old. Significantly, no findings of wrongdoing have been substantiated, refuting all McCarthy-like claims to the contrary. It appears to me, based on publicly available information, that the Constitutional rights of the GCWE’s faculty and staff have been trampled upon, such as the presumption of innocence, the right to face ones accusers, freedom of association, due process, etc. The attack and closing raises troubling issues of the academic integrity and ethics of the accusers. As CUNY’s flagship MA program for working people, and as one of New York’s City’s most venerable working class institutions, it is in the public interest to save the Graduate Center for Worker Education. That’s why I signed the petition to save the program. I am encouraging all progressives, trade unionists, those fighting for racial and class justice and public interest policy advocates to urgently do the same. Here are the facts and history about the Brooklyn College Graduate Center for Worker Education (GCWE) that I hope will provide an accurate portrayal of the program and correct the distortions of Corey Robin’s blog post that serve management interests rather than students and faculty. The GCWE is not a labor research center and never was intended to be but a worker education program. What’s the difference? Worker education is intended to impart intellectual and scholarly training that expose working class students to important literature in a range of academic disciplines. All courses cover a range of topics from the perspective labor and social justice. For example, a class on international human rights would include an examination of labor rights violations.As a worker education program, the GCWE imparts broad knowledge while working class students earn MA degrees to better serve the people of New York, on the model of Ruskin College at Oxford University. 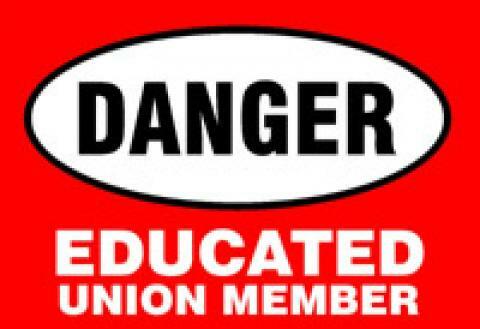 Worker education is not a labor studies program like the Murphy Center. Labor education centers typically provide courses in collective bargaining, pension plan management, organizing 101, labor-management relations, trade union organizing strategies, and corporate campaigns. The worker education serves union members and worker activists. Many of the students are members of unions and worker organizations. Many students are members of unions and other worker organizations. The GCWE has had a consistently strong relationship with labor unions and continues to do so. Most recently, the GCWE hosted the Labor and Working Class History Association (LAWCHA) conference at 25 Broadway with over 600 registrants. The conference included an exhibit `Sandy Stories’ that was sponsored by the Workforce Development Institute, with a photo exhibit from many unions in New York City. The exhibit was comprised of photos taken by union members from the Utility Workers, Transit Workers United Local 100, RWDSU, UFT, UNITE-HERE, among others that helped save New Yorkers and restore services during the hurricane last year. Trade unionists from throughout New York City attended this conference, the largest in LAWCHA’s history. Robin did not participate in the conference and so conveniently omits this from his narrative. Robin’s assertion that “You can’t restore a program that never was” is a revisionist denunciation of all full-time and adjunct faculty who have taught classes at the Graduate Center for Worker Education for more than 30 years and, in general, university-based worker education programs and adjunct faculty, who are so often not rehired. What is obvious to all of us who have spent our lives to promote working class access to public education is that we are living at a time of austerity where programs like the GCWE, which provide essential educational services to working people, are under attack. Critics of these programs believe that a university education is for the privileged few rather than available to working people. The program was situated in Manhattan since 1983 to serve working New Yorkers. By definition, moving an evening program from a central location in proximity to public servants’ jobs and union halls to main campuses out of Midtown or Downtown Manhattan effectively eviscerates a vibrant public institution of higher learning that permits workers to advance their careers. By asserting there are no students fails to address a central plank of the petition: provide rolling admissions like all worker education programs. In fact, to close yet another worker education program in a union city reveals an anti-working class sentiment and the same neoconservative doubletalk that has been used over 35 years to downsize programs such as labor education centers, close factories and lay-off workers in the US and throughout the world, and reduce public services to a minimum. At a time when labor unions require support and educated worker intellectuals, Robin along with the CUNY administration seek to retrench this program. As a faculty member who has taught at the GCWE for over 15 years I have seen many working students thrive in the program. The GCWE has served workers in and out of unions, the children of union members, and graduates have gone on to careers as union leaders, heads of government departments, lawyers, professors, elected office, and public health professionals. Most recently, a graduate of the program received a Fulbright Scholarship and another alumnus was elected president of a DC37 local union. These are just two examples of the accomplishments of our students. To say that the program has no students is disingenuous. The program stopped accepting students in February 2012 and has no public presence. The website was taken down by the college and the program has no advisor on location. No wonder there are no applicants. When I suggested the program to a gifted graduating student last February, he told me that application closed on February 1. Moreover, Robin severed the excellent relationship between the City College of New York Center for Worker Education, which conferred bachelors’ degrees and allowed students to go on to a masters’ degree through GCWE. Relocating the program out of downtown Manhattan will prevent the predominantly African American, Caribbean American, and Latina/o students who have benefited from a program near their workplaces from advancing their education and professional careers. Robin refers to a report that he forwarded to Brooklyn College administrators. To my knowledge, no one was aware that such an evaluation was conducted and no one has seen the findings or recommendations. This act is uncollegial, at best, and most certainly an attack against faculty governance. Without seeing a copy of the report, it is impossible to respond to whatever is contained therein. Is Robin advocating for decisions to be made based upon secret evidence? If the program is being dismantled on the basis of a secret report that no one has seen, aside perhaps CUNY management, it is one that contradicts external evaluations of Middle States, one of the GCWE and the other of the BC-Department of Political Science. Both concluded that the GCWE was serving an excellent function and fulfilling its mission, even if it required more funding. That’s because faculty members stayed overtime to work with students even though no full time faculty was assigned. I, for one, worked happily advising students four or five days a week. I challenge anyone to weigh the external reports against the secret report, where, apparently, no one who worked or was associated with the worker education program was interviewed. The Middle States reports are available and in the public domain. One of the three external evaluators for the report on Political Science was Robin’s own dissertation sponsor, Rogers Smith. People should ask Smith, now at the University of Pennsylvania, why he thought the GCWE program in political science was doing a good job, despite its lack of resources. In fact, perhaps the department that is dismantling the program now more than 30 years old isn’t interested in fulfilling CUNY’s mission to educate working people but seeks to compete with Columbia, NYU, Yale, and Princeton for students. But if that’s the case, even Harvard has an excellent worker education program that is administered by Elaine Bernard, who signed the student and alumni petition. Furthermore, so far as academic freedom, I don’t recall any vote in the political science department that the GCWE should close and turned into a campus-based urban and public administration program. In fact, the department rarely met in the spring semester, and, when it did, only for a few minutes, to the chagrin of frustrated faculty. Taking the program away from where our students work, is nothing less than closing another worker education program. When and where was that decision made? Certainly not at the regular department meetings. Indeed I received a press release from the administration indicating the plan. So it isn’t about faculty governance after all. Robin states that an 85-90 percent acceptance rate is tantamount to a poorly-run program and unprepared or incompetent students. I am not aware of the statistic, but even if true, he is misinformed. The department had three members of the faculty admissions committee and vetted students before they applied. Admissions were mainly through word of mouth, regular trips to union halls, and the website. 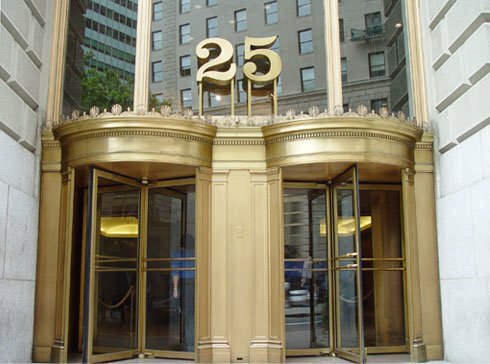 In addition, the CCNY-Center for Worker Education program, which shares our floor at 25 Broadway, provided advanced education for many graduates. The admission charge of $125 at CUNY is high for working class students, so we advised students not to apply until they were prepared. The common practice among elite universities and colleges of encouraging applicants to raise funds to apply to increase the standing and prestige of colleges on the ranking charts is disgraceful for a public university like CUNY and especially a worker education program. In fact, this practice has been brought to light on a national scale as elite colleges compete for students to reject. For these and many other reasons, I unequivocally support our students’ and alumni efforts to save the GCWE program, as do all who are aware of the facts. The students’ petition was released to mobilize support for the program. The faculty to whom the students refer are the adjuncts who were dismissed over the last two years, plus some retirees who teach not for the money but out of a commitment to working-class education. The full-time faculty in political science can always teach in the program. The blog is inaccurate in addition to implying there is some kind of cabal seeking to return for unknown perks. This is simply untrue. As Robin admits in his blog, during his tenure as the interim director of the GCWE, he has done little beyond the report, of which no one seems to have any knowledge. During Robin’s tenure as director, he eagerly supported the retrenching of classes, presided over the dismissal of adjunct faculty who in some cases were let go for their political perspectives, support for various causes, and associations. He has openly used confidential information he gained as the interim director and member of the political science appointments’ committee and circulated it in his blog. It is highly inappropriate to discuss a case of financial malfeasance that should remain confidential, even if observers consider it to be baseless. But even if it were the case, why should working students be punished or deprived of an integral program on the basis of unproven allegations? Robin’s attack is based on a secret report (we await Edward Snowden’s release from the NSA archives with eager anticipation). Is this what members of the academy and their supporters want? This is why students and alumni, as well as the New York City labor movement support the GCWE and other worker education programs and urge you to sign their petition.